Huge Savings Item! Save 14% on the Numinous Packs GlobePacs Anti-Theft Travel Daypack, 25 Liter by Numinous Packs at Wander Soul. MPN: NUMGP25LG. Hurry! Limited time offer. Offer valid only while supplies last. Numinous Packs offer a layered system of multiple anti-theft technologies to secure personal belongings and provide the traveler with peace of mind. Numinous Packs offer a layered system of multiple anti-theft technologies to secure personal belongings and provide the traveler with peace of mind. The GlobePacs Travel Daypack is constructed of anti-slash material to protect the bag from being cut open. A built-in, retractable wire cable secures the bag to fixed objects with a dual combination lock. All main zippers feature anti-puncture technology, making them resistant to intrusions from pens or tools. The Numinous GlobePacs also features the TSA-approved TravelSentry override system that allows airport screeners to unlock, inspect and re-lock bags without damaging the lock. Underneath all the security features is a thoughtfully-designed and functional daypack. Features include padded laptop compartment, mesh side pockets and padded lumbar support with airflow system to ensure maximum comfort. 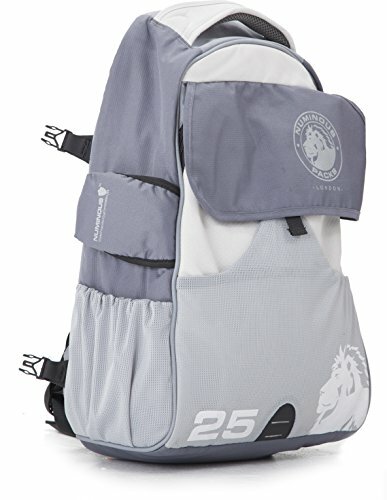 The GlobePacs Daypack is also compatible with larger GlobePacks bags. Designed by passionate world travelers, Numinous Packs offer the ultimate in security and function. Dimensions 18 x 6 x 12 inches; weight 2lbs. If you have any questions about this product by Numinous Packs, contact us by completing and submitting the form below. If you are looking for a specif part number, please include it with your message.